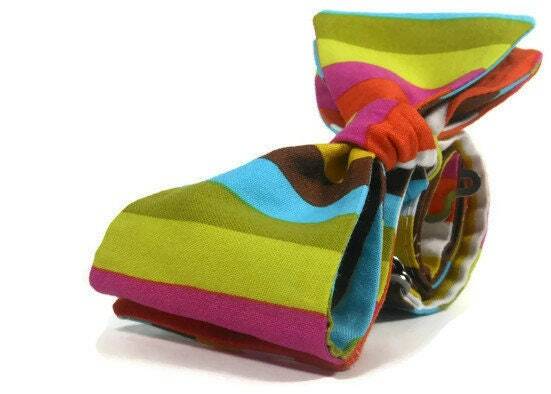 No one can resist a rainbow, especially now that it has appeared right under your chin! 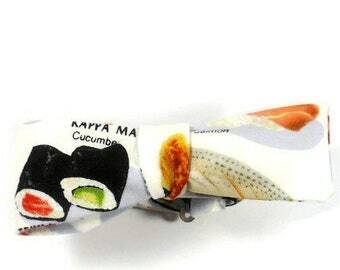 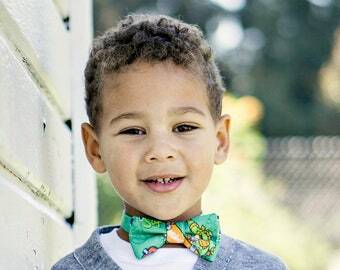 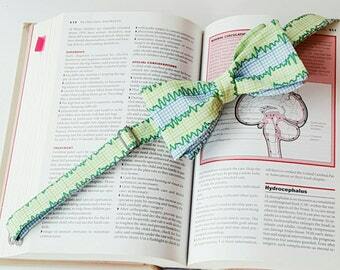 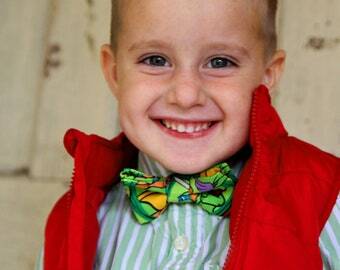 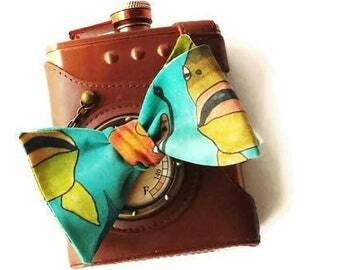 Brighten the day of everyone you meet with this fun and colorful bow tie. 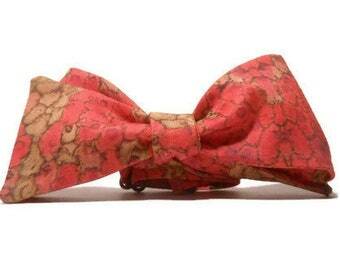 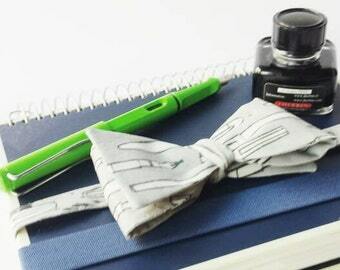 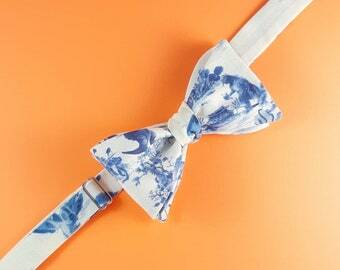 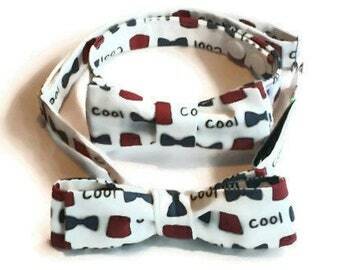 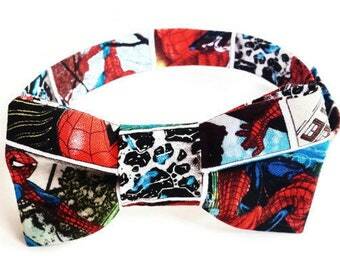 Each bow tie is made to order and pattern placement may vary.